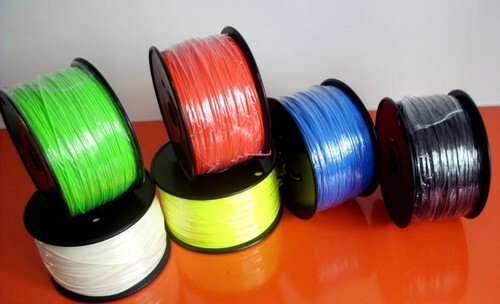 Black ABS Filament for 3D Printers - 1.75mm 1kg Spool - Oklahoma Toner Co. L.L.C. BLACK ABS 3D Printer Filaments For all desktop 3D printers using Fused Deposition Modeling (FDM) technology. These filaments come on a spool which easily attaches to the side or back of the printer, and feeds the extruder head.